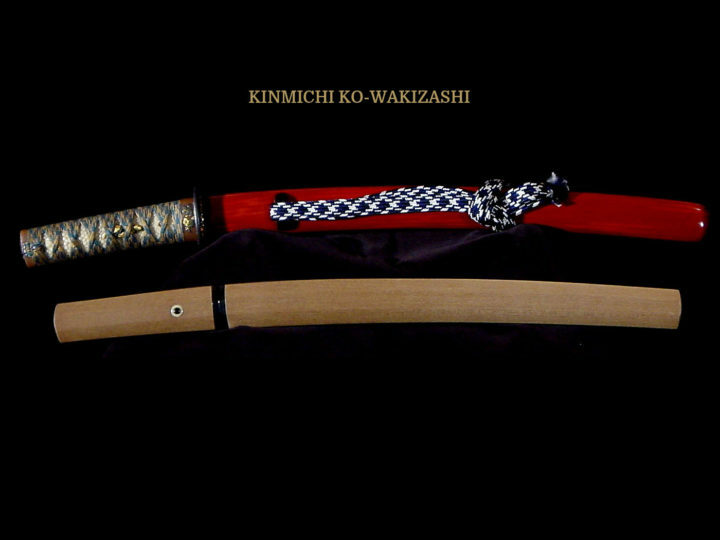 This is a very nice wakizashi by the Kaga smith, Kanewaka. 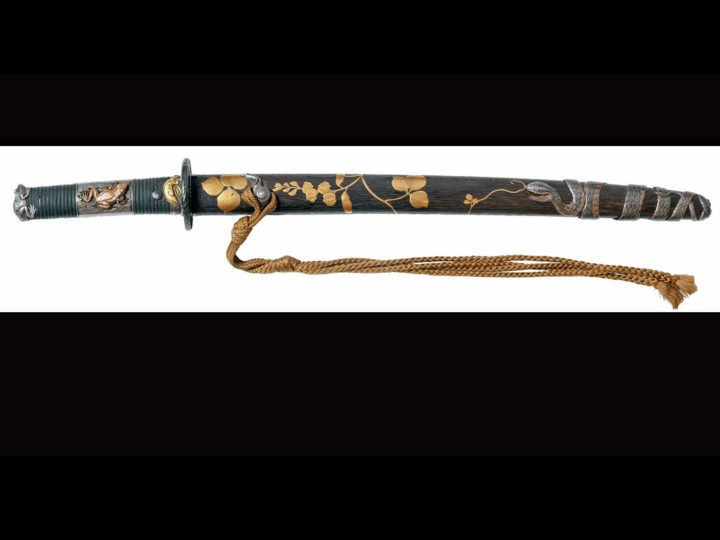 There are several generations of smiths who worked under this name and this particular blade belongs to one of the later generations who worked in the late 1700’s. 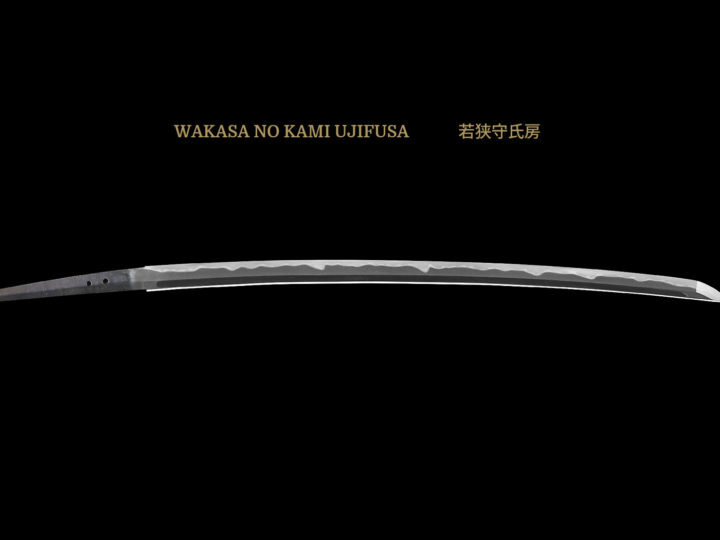 The blade is signed Kashu (no) Ju Kanewaka Tsukuru. 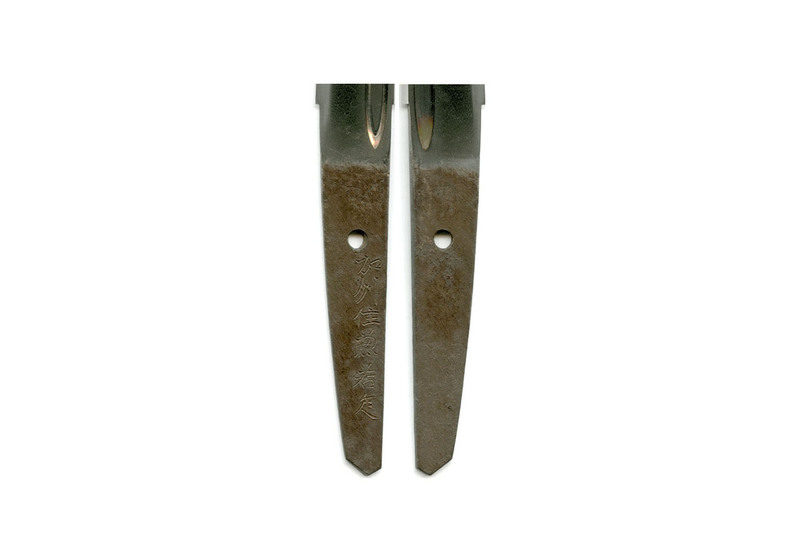 It has a very pleasing shape and measures 14 15/16 inches or 38.9 cm in length. 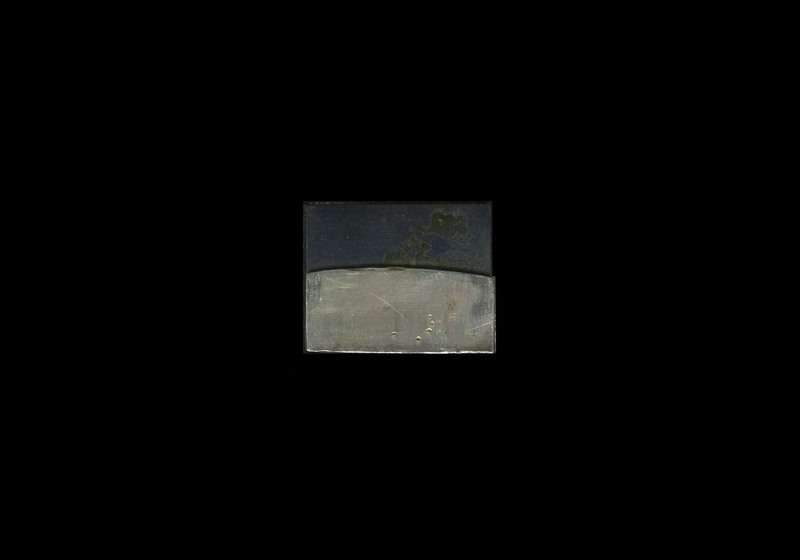 The motohaba (width at the hamachi) is 1 1/4 inches or 3.2 cm. The hada is a ko-itame that is beautiful. 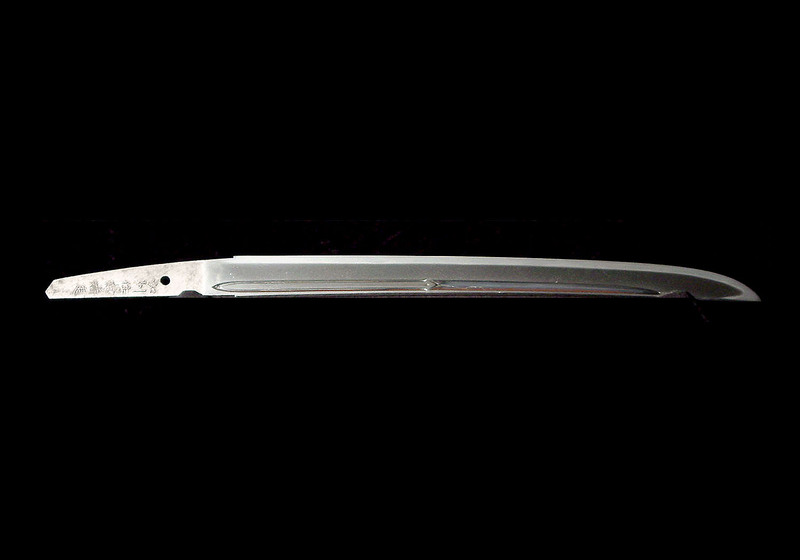 The hamon is a suguha with some areas of slight midareba. The deki is nie and it is bright and clear. 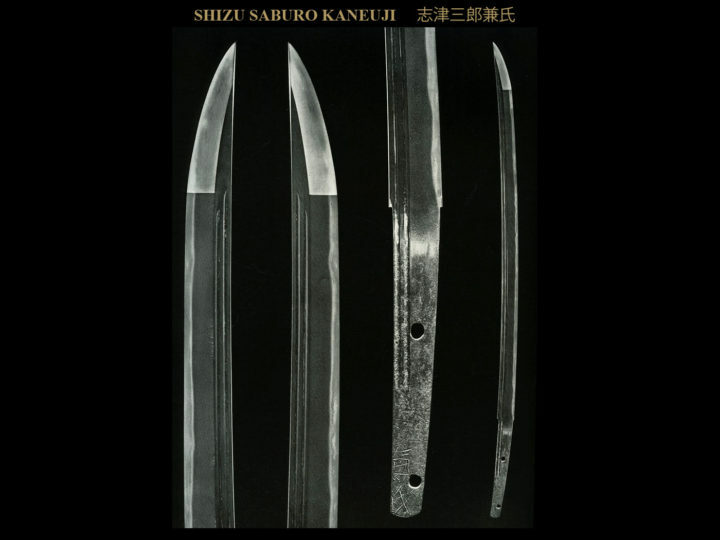 There are naginata type of hi (grooves) carved on one side of the blade and a ken within a bo-hi on the other. 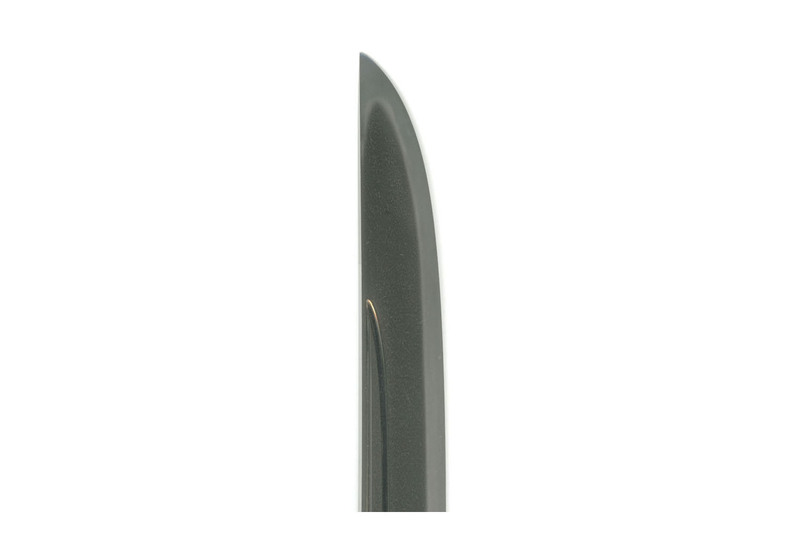 All of the carving is very well done and adds real beauty to the blade. 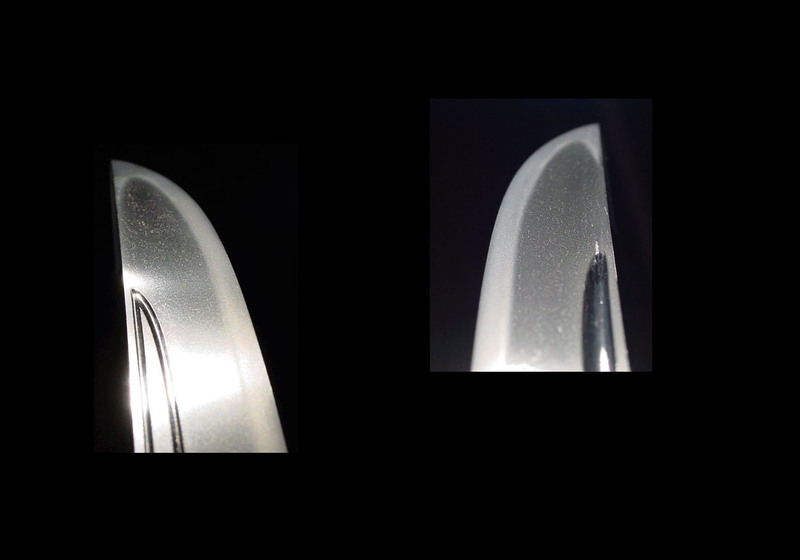 It is in excellent polish with no flaws or problems. 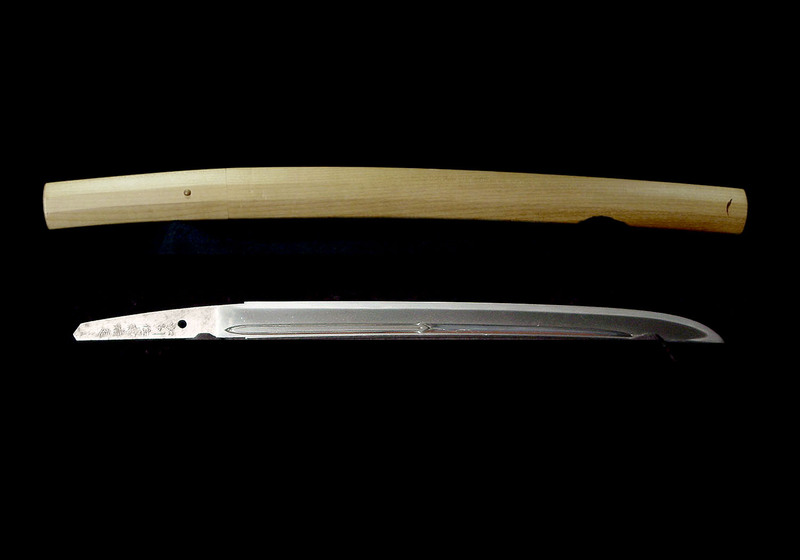 This blade comes in a shirasaya with a two piece habaki made of shakudo and silver wrapped copper. 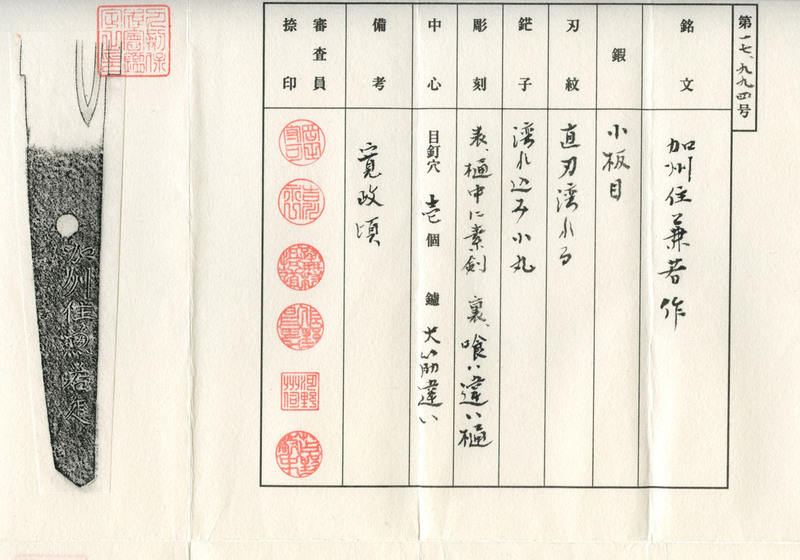 It also comes with NTHK papers attesting to its quality and the validity of the signature.